Each of these roles comes with responsibilities. You must prepare financial reports and maintain detailed accountings. Most fiduciary roles also involve submitting this information to the court on a regular basis. You must comply with detailed requirements in preparing and filing the right documentation. Fiduciaries are held to high legal standards. In fact, you could be held personally liable for certain failures to uphold your obligations. There is little room for error. At Tabory Law LLC in Leawood, Kansas, my goal is to equip you with the knowledge you need to uphold your duties with confidence. 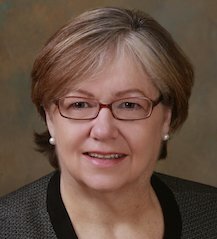 I am Linda Hart Tabory, an elder law attorney with 30-plus years of legal experience. Clients throughout the Kansas City area turn to me for trusted guidance on all aspects of fiduciary responsibility. As a lawyer, my job is to translate legal complexities into concrete, real-world applications. You can expect to come away with a clear understanding of what your role entails. I provide step-by-step guidance on how to fulfill your obligations and protect yourself against claims of wrongdoing. Few other law firms provide this level of support. The niche nature of my practice gives me the ability to work closely with clients. I will partner with you, taking the time to get to know you and understand your situation. I take a holistic approach in offering big-picture guidance on all the legal and practical ramifications of fiduciary responsibility.